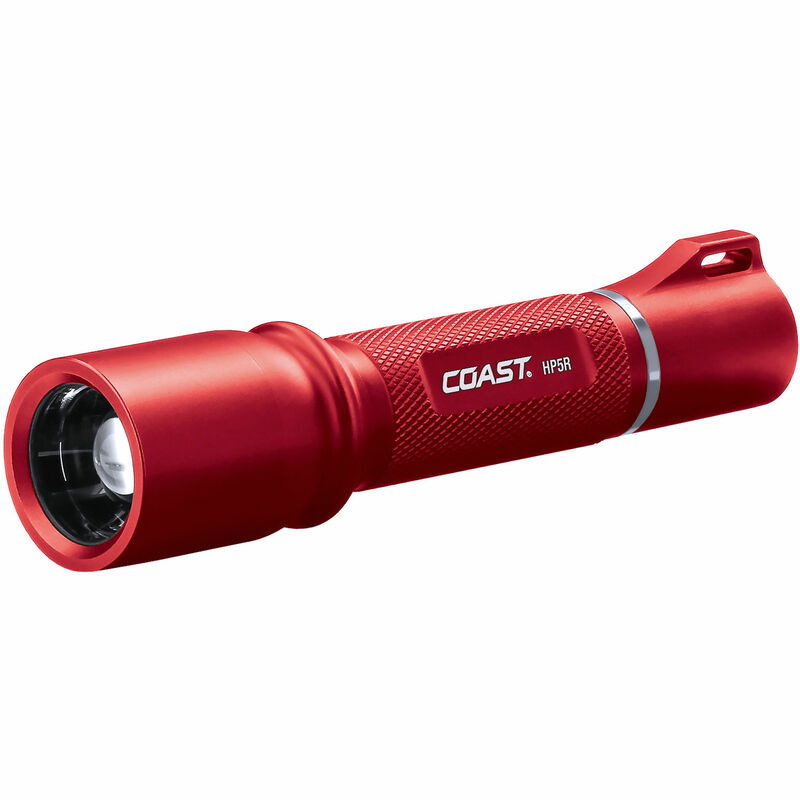 With the needs of professionals who require a versatile light that turns on every time they click the switch, COAST made the HP5R Long Distance Focusing Rechargeable LED Flashlight with a durable design, high and low outputs, a focusable beam angle, a disorienting strobe, and dual power source capability. This handy and versatile light is made to be your go-to illumination tool in the garage, on patrol, at the workshop, or anywhere your job takes you. The Pure Beam Focusing system is accessed by sliding the head forward and back with convenient one-handed operation, and it allows you to change the beam from a wide flood that lights large areas close to you into a focused spotlight that is optimized for a long throw. When you get the beam set where you need it, just twist the head, lock the beam angle, and get to work. The HP5R is capable of running on multiple battery chemistries, and COAST provides both to get you started. First, you have a lithium-polymer rechargeable battery pack that provides 19- and 185-lumen outputs and can be charged in or out of the light using the included USB cable and either the 110 VAC wall outlet adapter or 12 VDC car/vehicle plug adapter. If you run out of power and still need a light, you can use a single ubiquitous AA battery—output and runtimes will be a bit lower and shorter, but the good news is you still have light. An array of accessories is also included: a sheath and clip to give you carrying options; a wrist lanyard so you won't lose it if it slips out of your hand; and a convenient wall mount so you always know where it is. Easy to use. Easy to power. Easy to keep it close at hand. The HP5R is designed and built for everyday carry and everyday use.